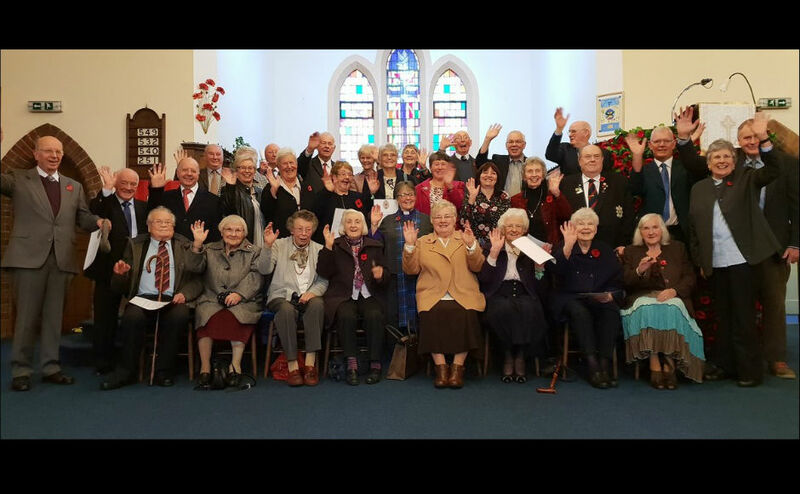 People in Kirkcaldy have been honoured for giving more than 1,000 years of combined service to the Church of Scotland. Right Rev Susan Brown Moderator of the General Assembly of the Church of Scotland, presented 32 long service certificates to elders at a ceremony at Methilhill and Denbeath Church in Fife. The service was held on Sunday 4 November, at the end of a 9 day visit of Mrs Brown to the Presbytery of Kirkcaldy. Mrs Brown said: "It was great to be able to be in the presence of so many people who have so generously given of their time and their talents in the service of the Gospel and of their local church. "It was a great celebration with voices raising the rafters in thanksgiving!" Presbytery Clerk Rev Alan Kimmitt said: "Members of churches within the presbytery live out their faith in the church, through their employment, through volunteering and in a wide range of organisations and through quietly caring for people." "It was lovely that people could be recognised today for their faithful church service over many years." As part of her visit Mrs Brown visited the Victoria Day Hospice, attended a service celebrating the 70th anniversary of Glenrothes, visited a foodbank and spent time with the Rail Pastors. Mrs Brown, whose theme throughout the year is 'walking with', also hiked 8.5 miles of the new Fife Pilgrim Way from Kinglassie to Markinch via Leslie.